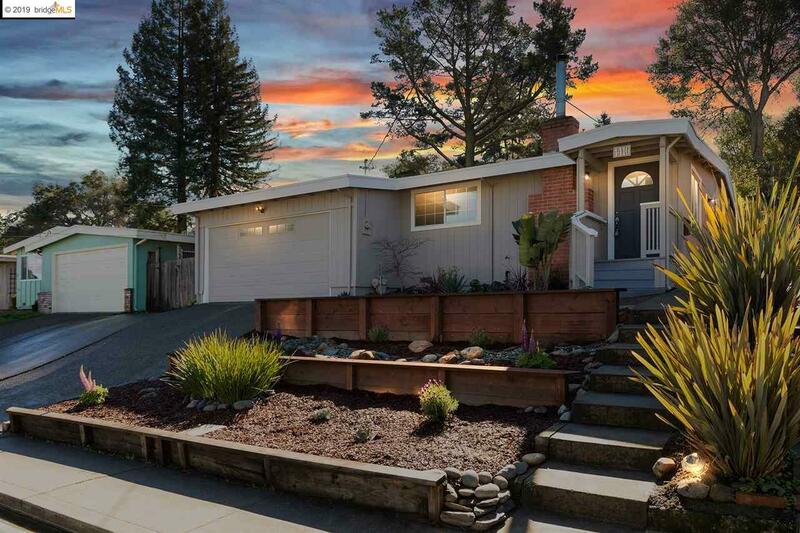 Super sweet updated El Sobrante bungalow radiates with inviting warmth, charm and character. The highly functional open layout maximizes space. The master suite, with its fully updated bath, and the second bedroom both have exterior access to the lush backyard. The third bedroom abounds with charm with wainscoting, one of several custom windows and a built-in closet organizer. The living room has unique character with vaulted wood beamed ceilings and a gorgeous custom fireplace with a cast iron wood burning stove insert. The kitchen continues the open flow to the dining area. The breakfast nook has built-in bench seats and exterior access to the side patio, complete with a fire pit. Closet space is ample throughout and supplemented by a large 2-car garage which offers interior access and a tool shed/workshop. The backyard abuts to Wildcat Canyon and the Clark-Boas Trailhead â fantastic for hikes, dog walking and spectacular Bay views! One could not wish for a friendlier neighborhood!